We are committed to your health, well-being and the natural environment. That's why we make eco-ethical skin care. 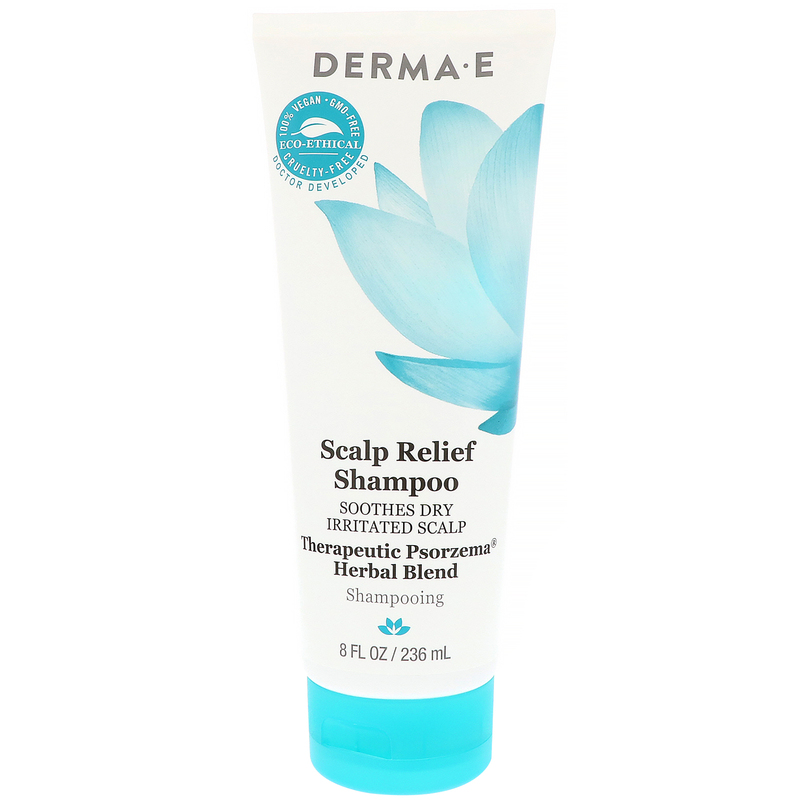 Doctor-developed and clinically tested, this gentle shampoo thoroughly cleanses and help to alleviate symptoms associated with your dry, irritated scalp. 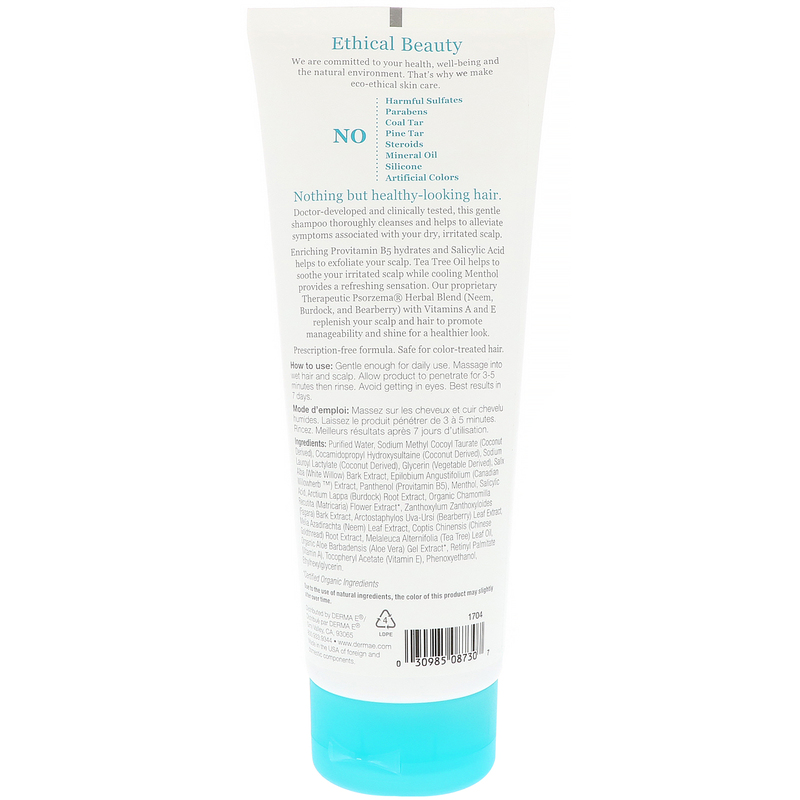 Enriching Provitamin B5 hydrates and Salicylic Acid helps to exfoliate your scalp. Tea Tree Oil helps to soothe your irritated scalp. Tea Tree Oil helps to soothe your irritated scalp while cooling Menthol provides a refreshing sensation. Our proprietary Therapeutic Psorzema Herbal Blend (Neem, Burdock, and Bearberry) with Vitamins A and E replenish your scalp and hair to promote manageability and shine for a healthier look. Prescription-free formula. Safe for color-treated hair. Gentle enough for daily use. Massage into wet hair and scalp. Allow product to penetrate for 3-5 minutes then rinse. Avoid getting in eyes. Best results in 7 days. Purified water, sodium methyl cocoyl taurate (coconut derived), cocamidopropyl hydroxysultaine (coconut derived), sodium lauroyl lactylate (coconut derived), glycerin (vegetable derived), salix alba (white willow) bark extract, epilobium angustifolium (canadian willowherb) extract, panthenol (provitamin B5), menthol salicylic acid, arctium lappa (burdock) root extract, organic chamomilla recutita (matricaria) flower extract*, zanthoxylum zanthoxyloides (fagara) bark extract, arctostaphylos uva-ursi (bearberry) leaf extract, melia azadirachta (neem) leaf extract, coptis chinensis (chinese goldthread) root extract, melaleuca alternifolia (tea tree) leaf oil, organic aloe barbadensis (aloe vera) gel extract*, retinyl palmitate (vitamin A), tocopheryl acetate (vitamin E), phenoxyethanol, ethylhexylglycerin. Due to the use of natural ingredients, the color of this product may slightly alter over time.